Pricing on any product(s) as is reflected on the Website may due to some technical issue, typographical error or product information published by seller may be incorrectly reflected and in such an event seller may cancel such your order(s). You release and indemnify PP BAG DEAL and/or any of its officers and representatives from any cost, damage, liability or other consequence of any of the actions of the Users of the Website and specifically waive any claims that you may have in this behalf under any applicable law. Notwithstanding its reasonable efforts in that behalf, PP BAG DEAL cannot take responsibility or control the information provided by other Users which is made available on the Website. You may find other User's information to be offensive, harmful, inconsistent, inaccurate, or deceptive. 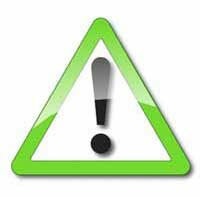 Please use caution and practice safe trading when using the Website. PP BAG DEAL will not be liable to You in any way or in relation to the Contents of, or use of, or otherwise in connection with, the Website. PP BAG DEAL does not warrant that this site; information, Content, materials, product (including software) or services included on or otherwise made available to You through the Website; their servers; or electronic communication sent from Us are free of viruses or other harmful components.